Huck Gee’s popular Skullhead Dunny design returns from the dead in a brand-new colorway! 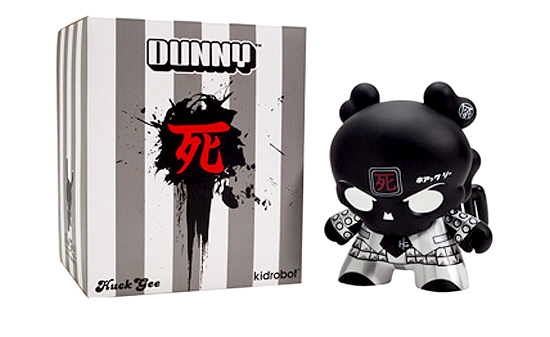 Originally released in 2011, the Skullhead Dunny is back in a brand new black-and-silver decal pattern, and sports the original’s crossbones, wings, and kanji details. This 8″ tall undead rocker will release on March 20th, and will be available at TOMODACHI’s Rosedale Shopping Center location as well as our online shop! Retailing at $59.99, this is the perfect opportunity for fans who missed out on the original limited-edition run to pick up one of Huck Gee’s most iconic designs!